Type your COSCO tracking number below, get live delivery information with our express tracking system. China Ocean Shipping (Group) Company (COSCO), one of the major multinational enterprises in the world, is China’s largest and the world’s leading Group specializing in global shipping, modern logistics and ship building and repairing, ranking the 327th in Fortune Global 500. Established on April 27th, 1961, COSCO owns and controls over 800 modern merchant vessels with a total tonnage of 56 million DWTs and an annual carrying capacity of 400 million tons. COSCO’s shipping lines cover over 1,600 ports in more than 160 countries and regions worldwide, and its fleet size ranks the first in China and the second in the world. If you have problem with our container tracking system, please track your container directly on the COSCO website. If you get no tracking information from COSCO official website, you’d better contact COSCO. When you ship with COSCO , you will get a COSCO container tracking number with format CBHU1234567, CBHU is COSCO’s prefix. 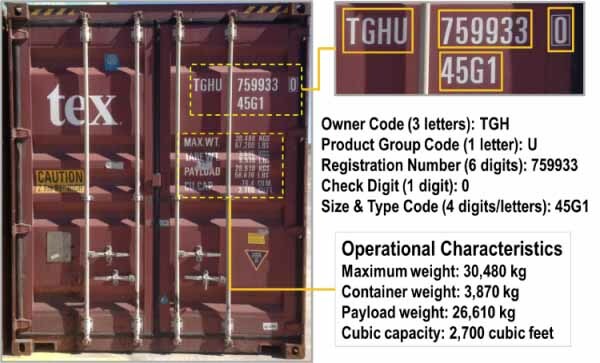 Know more COSCO container tracking number information from below picture. If you have problem with our COSCO Tracking system, submit your problem here, we will help you as soon as possible. Declare: We can NOT contact carrier or others on your behalf, we can only help you track your package with your COSCO tracking number on official tracking system. We provide COSCO Tracking service only.